This battle ebbed and flowed from the opening day of W.W. 2 The German V-30. only twelve hours after war was declared. 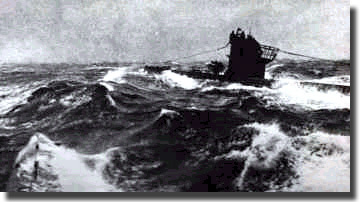 sank the" Athenia" off Ireland, with the subsequent loss of life of 120 of its passengers. The Naval Historical Society of Australia Inc. Under Water Warfare. The Struggle Against the Submarine Menace. 1939-1945. in Book form in size A4.